Last night we finished going 1-1 with the tips. We had the Rangers to win in regulation. This was a close one but it came through for us when the Rangers won 4-3. The Hurricanes outshot the Rangers 36 -22 but Lundqvist made 33 saves in the win. This game wasn’t pretty for the Rangers as they had a 3 goal lead at one point but they still held on for the win to snap their 3 game losing streak. The last tip of the night was Over 5 in the Canucks vs Ducks game. The Ducks did their part for us but the Canucks didn’t. Anaheim won 4-0. The Avalanche and the Islanders traded goals through the 1st 2 periods but the Isles scored 3 in the 3rd to pick up the 5-3 win. The Maple Leafs decided to go with Garret Sparks and the rookie didn’t disappoint. He picked up his first win and shutout of his NHL career in his first start when the Leafs won 3-0. A nice full night of hockey tonight with 10 games. Someone had mentioned in the comments that they were upset about the number of tips we post per night and the consistency of the time of the tips. We try our best to have 3 tips but some nights when there isn’t a lot of games on we go with the tips that we feel comfortable with instead of forcing ourselves to make 3 tips. We do have 3 tips about 95% of the time but for nights when there isn’t we are sorry. It’s a matter of quality over quantity. The Stars are playing amazing hockey on the road this year. They are 10-2 when away from Dallas which is a good reason why the have the best record in the West so far. The Flames are 5-5 at home, 4-5-1 over their last 10 and are on a 3 game losing streak. I have been a fan of the Stars all year so that may sway my opinion of this game. But I like the Stars chances to come away with the win. Seguin and Benn are on fire and can win a game by themselves. Over 5 is the tip for this game. The Habs lead the Eastern Conference in goals per game averaging around 3.5. And although Condon has been good he isn’t Carey Price. 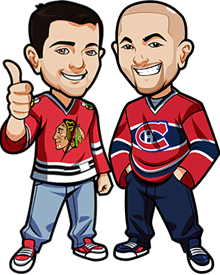 They’re capable to have a night where they just explode for goals and Galchenyuk and Pacioretty are having great starts to the season. The Jackets get Dubinsky back for this game which will only help them in moving forward. The last time these teams played each other it was Montreal coming away with the 5-2 win on February 26th of last season. This game, on paper, should be all Detroit but once you look at a couple things you see that maybe it won’t be as easy for them. The Sabres are on a 2 game winning streak and look to have finally found their offense. Detroit has gotten points in 7 straight games. But they have also played 6 overtimes in 7 games and 9 already on the year. The extra time from the 3 on 3 OTs is going to make a team tired. And an aging team like Detroit will definitely feel it. The main reason I’m making this tip is the value.